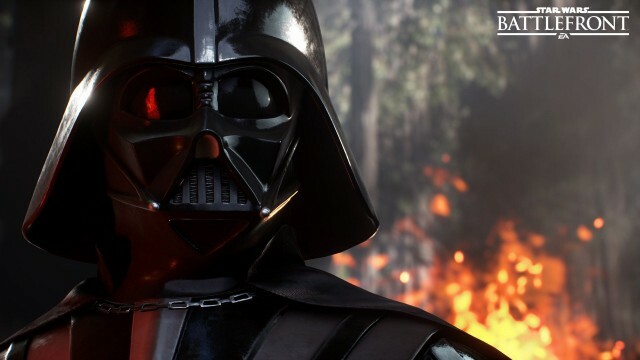 As revealed at last month’s Star Wars Celebration in Southern California, DICE and Electronic Arts’ Star Wars: Battlefront revival will have many of the features that made the original two games so popular: large scale Rebel-vs-Empire battles, levels ripped straight from the original trilogy (and a couple of new locations, too), and lots and lots of bots. Know what it doesn’t have? Space battles. That may not sound like a big deal, but the omission of space combat has fans up in arms, and with good reason: Star Wars Battlefront II featured space battles, and some players consider them one of the best parts of the game. Removing popular features from a game is never a good sign. 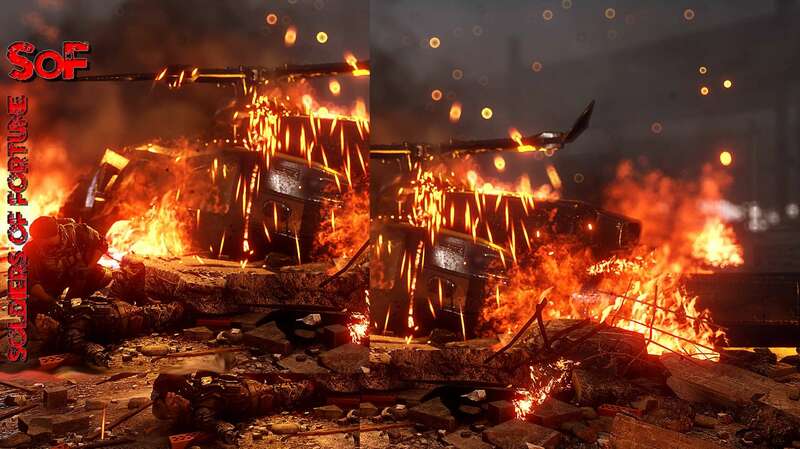 Add in the ten year gap between Battlefront’s console editions and players’ lingering distrust of DICE following Battlefield 4‘s disastrous launch, and gamers’ outrage isn’t just understandable, it even seems a little justified. Electronic Arts and DICE have heard the complaints, and while nothing’s going to change, DICE General Manager Patrick Bach took to the Official PlayStation Magazine (re-reported by PlayStation Universe) to explain why space battles didn’t make the cut. It’s not, as some fans speculated, because DICE is lazy, or because developers are rushing to get Battlefront out in time for Star Wars: The Force Awakens. Instead, it’s all about keeping the game focused. We want players to stay in the same [environment] – we don’t want players to fly off and do something over *here. * It’s about the Battlefront experience, so we want to keep you in-atmosphere and fighting with the infantry. Basically, Battlefront will not include space battles because developers want to keep combat centered on a single (if expansive) location. At first glance, that makes sense: Battlefront includes spaceships, they’re just confined to the atmosphere. Of course, Battlefront II gave space combat its own mode, called Space Assault; if space battles were air-only, it’d be easy to keep fights tight and chaotic. Space battles aren’t the only feature missing from the new Star Wars: Battlefront. The game won’t ship with a dedicated single player campaign either, although solo players can replicate the online experience using bots. Thankfully, Star Wars fans who are skeptical about DICE’s offering have other options for Jedi-based gaming this fall: Disney Infinity 3.0 ships with two Star Wars-themed playsets focused on the original and prequel trilogies, with a third based on The Force Awakens coming later this winter. No word yet on whether or not Disney Infinity includes space combat – Game Rant will keep you posted. Star Wars: Battlefront comes out on November 17, 2015 for PC, PS4, and Xbox One. This could be a huge disappointment for groups of friends of Clans wanting to play Star Wars Battlefront together. No Squads. 20 vs 20 rooms. Two man buddy system only. Looks like another "Run & Gun" player. Battlefront is taking the wrong direction to entice Clans to play this game. Maybe better news will come later. But it doesn't look good at this point. When Star Wars: Battlefront arrives this November, you can bet your best Corellian corvette that DICE's saga shooter will be aiming for the most authentic Star Wars experience yet. In fact, it's gone as far scanning actual props from the original trilogy in order to capture the look, feel and atmosphere of George Lucas' Force-powered universe (which should add an extra edge to Star Wars: Battlefront's single player missions, too). In the latest issue of Official Xbox Magazine, the Swedish studio reveals how it uses a technique called photogrammetry, which involves photographing an object from every angle before linking them all together on a 3D virtual model. With DICE confirming Star Wars: Battlefront will include 40-player battles across four iconic locates, this new method will certainly help every nook and cranny feel lived in. That desire for ultra authenticity stretches to the soundscape as well, with DICE being granted access to the original film recordings. "That's like handing the Mona Lisa to somebody," says design director Niklas Fegraeus in an interview with OXM. "Our guys couldn't stop laughing!" So with the power Dolby's Atmos tech, DICE are able to make once flat effects form a, "bubble," of ambient noise. Considering characters such as Darth Vader and Boba Fett will be available in Star: Wars Battlefront as power-ups during matches, these extra touches will make the it all the more authentic. Star Wars Battlefront Design Director Niklas Fegraeus has kicked off a post-trailer reveal Q&A session on Twitter, where he goes by the username @DICEfigge, answering a few burning questions from Battlefront’s biggest Twitter fans. We’ve rounded up the replies below so you don’t miss out on any of the details. We’ll keep adding more as they come. A: We have 4 iconic planets & on those many maps to play on. We’re going to take you places you’ve never been before. A: There will be more maps than 8, and more than two per planet at launch. A: You can play more than that, but so far we have only revealed Vader and Boba Fett. More will come. A: Yes, there will be plenty of things to unlock, achieve and collect. More on this will be revealed at a later date! We gathered a few more details on DICE’s Star Wars-themed shooter earlier today, including info on console frame rate, first-person and third-person modes, user interface, and much more. Star Wars Battlefront will launch on November 20th on PlayStation 4, Xbox One, and PC in two different editions. The Battle of Jakku DLC will launch for free three weeks later, or only two for those who pre-order the game.